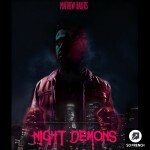 Where as Halloween day is about to kick off, So French Records is proud to launch the Halloween’ eve, the amazing brand new album ‘Night Demons‘ of one his new talented recruit from Los Angeles, ‘Matthew Bauer‘! 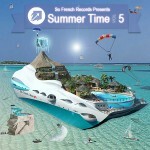 The Summer Time Compilation Vol.5 Is Out! The Sea, the sun and the Summer Time Babe!! At last we are proud to introduce you the most expected Summer Compilation from our team!